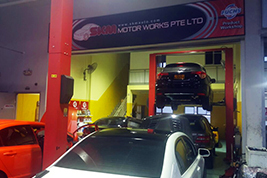 Welcome to SKM Motor Works! We are committed to the highest standards of repairs and servicing for our valued customers. Incorporated in 2011, SKM Motor Works has grown and established ourselves in the market as a one-stop service shop specialising in HONDA. 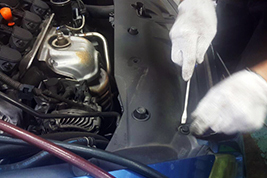 We are equipped to service other cars from BMW, Mercedes Benz, Audi, Volkswagon (VW), Jaguar and all import automobiles including Asian brands such as Toyota, Nissan, Subaru, KIA and many others. Your safety is our utmost priority. This is why at SKM Motor Works, we only use quality parts for your vehicles.Our servicemen are recruited based on their experience, knowledge and skills. They are trained to explain every job in detail and provide all customers an estimate prior to the delivery of services. Make an appointmentfor your next scheduled maintenance or repair today with our friendly staff. From batteries,oil changes, brakes, tune-ups and engine diagnostics — we got you covered!